Electronic sensors fitted into helmets are being used in China to monitor employees' emotions. Workers in China are being hooked up with brain-reading devices that feed information about their moods to their employers, raising fears about the privacy of people's most basic emotions. But the efforts to tap into the data is sparking concerns that companies are reading the minds of their employees, with one Chinese psychology professor warning the move could represent a "whole new level" of privacy abuse. 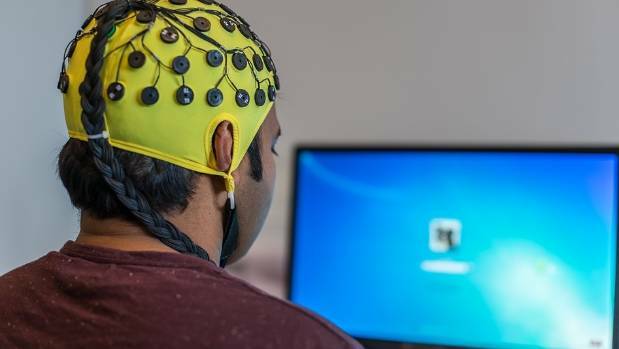 Although details about how the technology works are not clear, reports suggest devices use sensors and artificial intelligence algorithms to monitor brainwaves and detect spikes in emotions such as rage, anxiety and depression. They can be put in safety helmets or uniform hats and stream data to computers accessed by employers. Qiao Zhian, the professor of psychology at Beijing Normal University, said: "The selling of Facebook data is bad enough. Brain surveillance can take privacy abuse to a whole new level." The reports come amid a wider climate of Chinese authorities meddling in private data. The Communist Party's anti-corruption watchdog has said it can access deleted private WeChat messages of people it investigates, and punishment for people posting material the party disapproves of in private messages is becoming increasingly common.